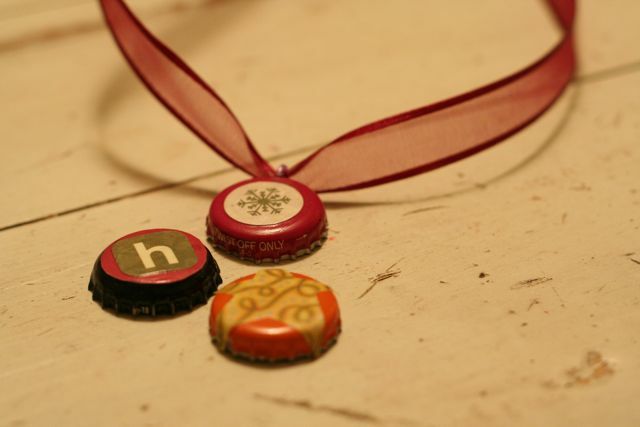 Supplies Needed - Bottle Caps, Mod Podge, Ribbon, Decorative Paper, Paper Clips(or Split Rings). 1. 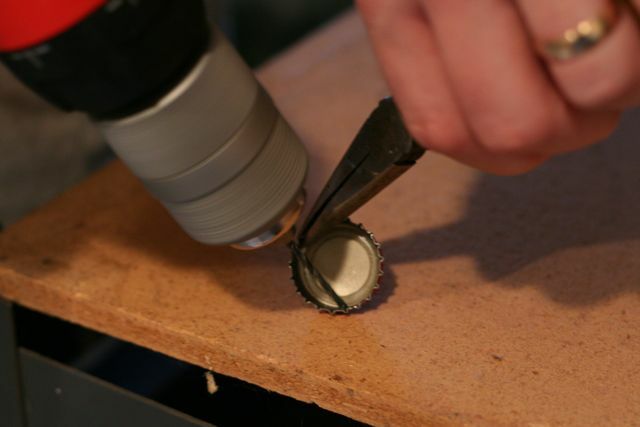 Using a pair of pliers to hold the bottle cap steady - drill a hole in the cap. 2. 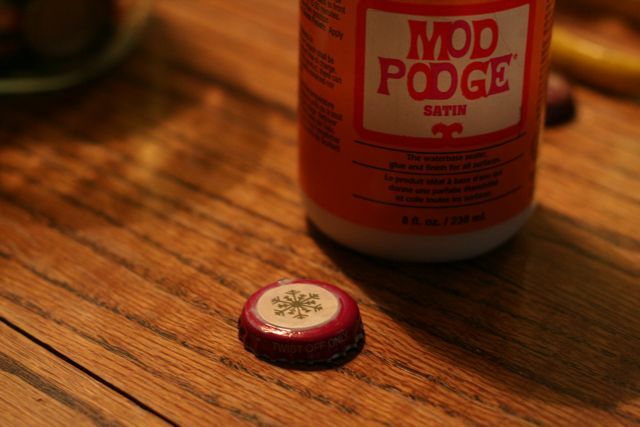 Mod Podge your decorative paper on top of the bottle cap, sprinkle glitter on top if desired. 3. Put the ring through the hole with pliers. 4. String ribbon through the ring and tie a bow. Some examples of others I have made but have not strung with ribbon yet. This was a super easy project. Thank you to my dh for helping me drill holes in the bottle caps. He says it is easy but I needed his help so I could take a photo of it. There are so many ways you could change this up. 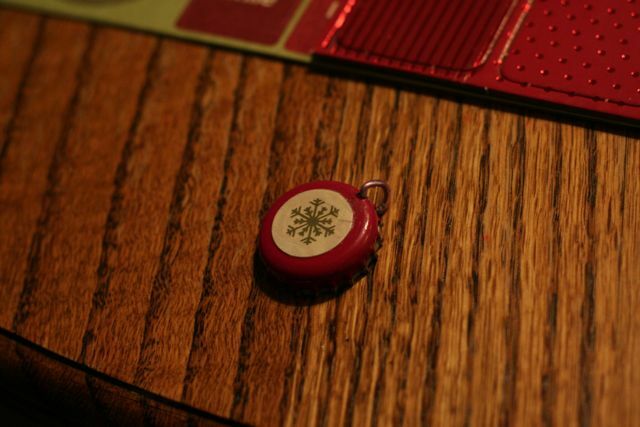 You can add glitter to the bottle cap after you have mod podged the paper on, for a festive fun look. 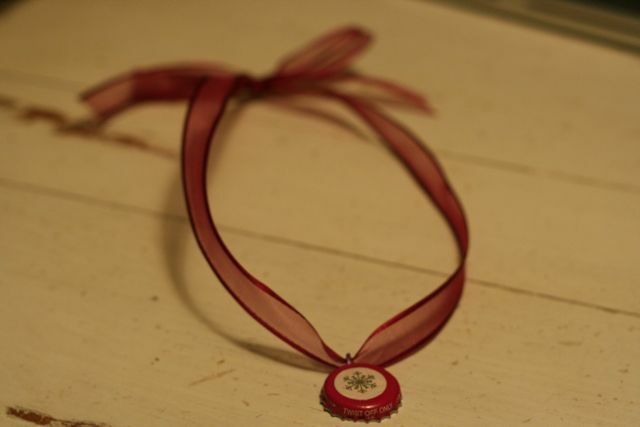 You can make these into key chains and you can have more than one bottle cap on one necklace by tying a knot in the ribbon between each bottle cap. Play around with it and see what you come up with. These are so fun for kids and adults alike. 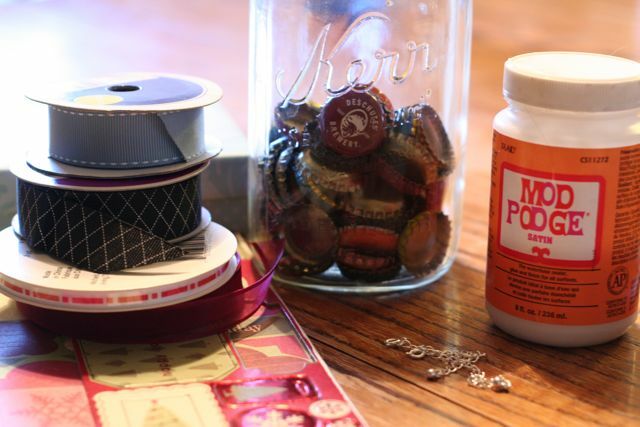 This entry was posted in DIY, I made this!, tutorial on November 30, 2009 by Deanna.